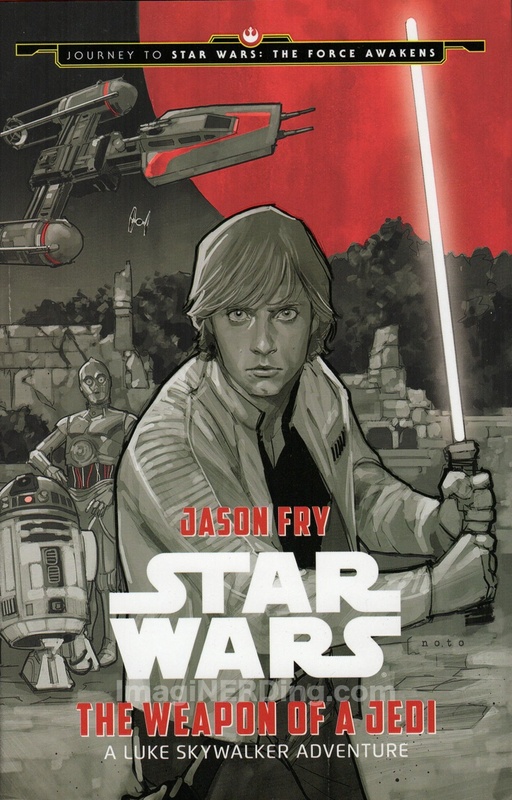 The Weapon of a Jedi: A Luke Skywalker Adventure by Jason Fry was released before The Force Awakens as part of the Journey to Star Wars: The Force Awakens series. Like Aftermath, there were clues to the new film, so I stayed away from them until after I saw the movie. The three books focus on the heroes of the original trilogy (Luke, Leia, Han and Chewbacca) and serve to bridge between the original Star Wars films. Overall, I enjoyed them, but I’m not sure if they’re for everyone. The first step was trying to figure out if I needed to read them in any order, which, after reading them, you don’t have to. All three books are independent stories that happen between the films. Still, I read them in as close to an order as I could ascertain. I did decide to read Smuggler’s Run: A Han Solo and Chewbacca Adventure first, since it seemed to happen before the Luke Skywalker Adventure. This is another title that takes place after the Battle of Yavin. There wasn’t a definable point, like the Han Solo Adventure, but it was after the rebel base on the fourth moon of Yavin had been deserted. Luke is assigned to recover some data at the request of Mon Mothma. He gets saddled with a Y-Wing and takes off with R2-D2 and C3PO (which is why the Y-WIng makes more sense than his X-Wing. He ends up sort of crash landing on the planet Devaron and is drawn to a mysterious temple. Which was not what his mission entailed. Luke ends up hiring a local scout to take him to the temple, despite the warnings of the locals. A young girl that befriends Luke during his trek and follows him. More because she doesn’t trust the guide that Luke hired. This is still a Luke who is completely unsure of the Force and what the Jedi actually are. Word is that the Jedi built the temple, so maybe Luke can learn more about the Force and what little Ben taught him on the Millennium Falcon. 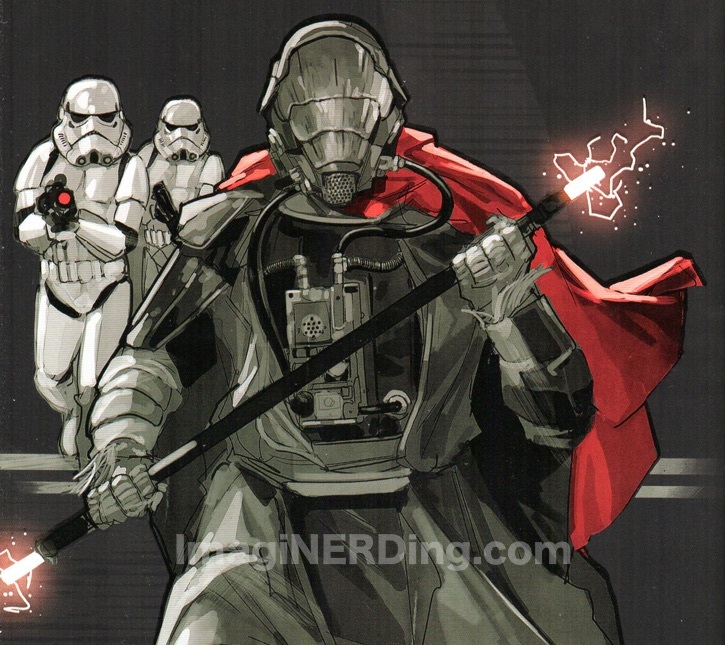 There’s a point where he fights several Jedi remotes and they help teach him how to use his lightsaber. It’s still hard to think of a Luke that was so unsure of the Force, but you have to remember he’s at least five years younger than the Jedi Master we see in Return of the Jedi. The story felt more like one of the Marvel comics after the release of A New Hope. In the late 1970s, Marvel wasn’t given much guidance on the characters or the universe, so a lot of strange things happened, especially in relation to the films. This book didn’t follow the same paths, but the author dies have to struggle with how Luke can learn about the Force. It wasn’t as satisfying to me as the other two novels and felt much less like a Star Wars story. But it’s still a lot of fun and most Star Wars fans are going to enjoy it. Have you read The Weapon of a Jedi? What did you think about this Luke Skywalker adventure?